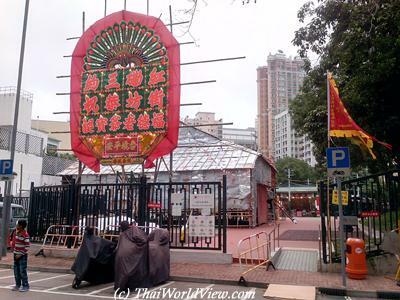 Each year, Hong Kong celebrates festivals linked to deity of land / earth deity / god of land (土地公). 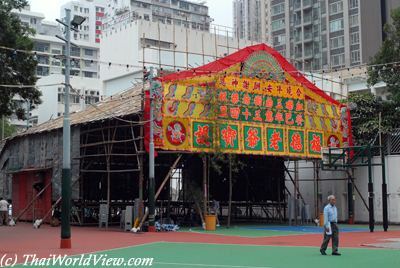 Normally traditional events happen on Wuhu Street Temporary Playground in Hung Hom. 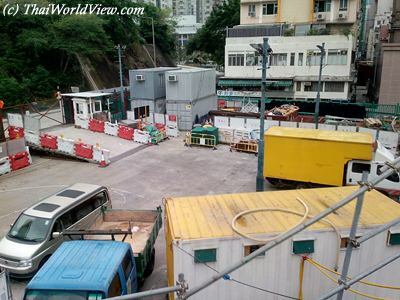 But due to new MTR line construction, they are moved to Tsing Chau Street Playground. 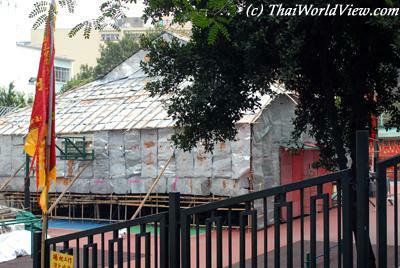 The temporary Chinese opera structure in Hung Hom was not for Tin Hau deity but for the local deity of land. For Chiu Chow folks, Pak Kung is similar to the earth deity. So Chiu Chow people call this festival as "Pak Kung" festival. 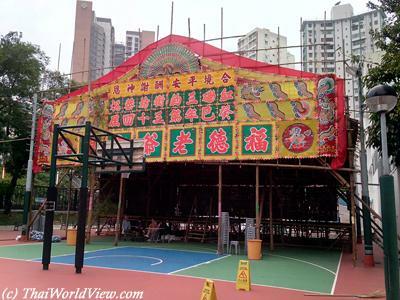 Cantonese people call this festival as "earth deity" festival. The whole opera structure is made of bamboo. Chiu Chow Chinese Opera style last three days starting at 7PM. 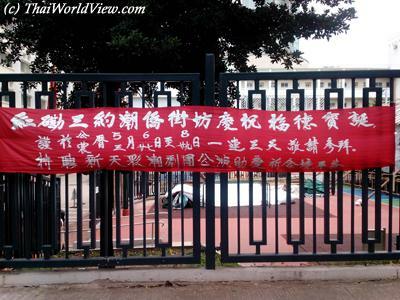 The event in Hung Hom started on a Monday with a parade at noon time and last three days with evening opera every day. Donations to the earth deity are put together. 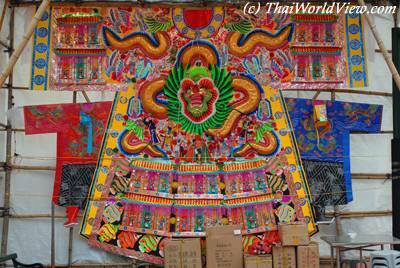 The paper-mâché clothes are similar to the one used during Hungry Ghost festival. During summer, the temperature is becoming very hot in such theater as the air ventilation is not optimized. The whole impressive Chinese opera structure is made of bamboo and tin foil. 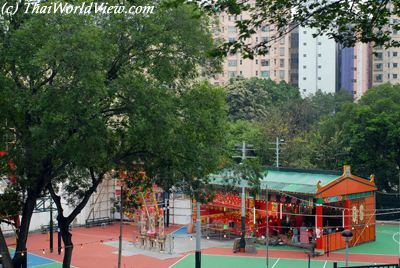 View on Tsing Chau Street Playground and the temporary buildings for the earth deity birthday from an upper location.